I've never been huge on diet ice creams. Whether they're fat free, sugar free, or reduced calorie, I find they almost always fall drastically short of their full calorie counterparts—not to mention short of my expectations. But that's no surprise. If you want to lose weight, eat better, and be fitter, you've got to make sacrifices somewhere. I'm not saying I'm super fit right now, but for me, eating diet ice creams has never been the answer. I'd rather eat half a cup of Ben & Jerry's Chubby Hubby and enjoy every bite of it than eat a whole pint of ice cream that I'm only marginally happy with. Enter Halo Top and the myriad of ice cream companies imitating them. In recent years, there's been a diet ice cream revolution of sorts. 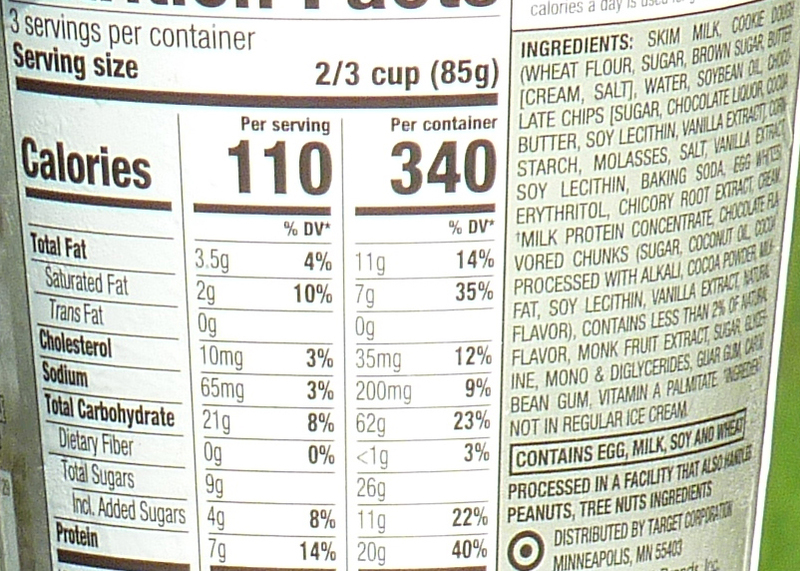 Even I must admit that Halo Top took diet ice cream to a new level. It's still not even close to a good old-fashioned scoop of the real stuff in my humble opinion, but it's closer than diet ice cream has ever been. 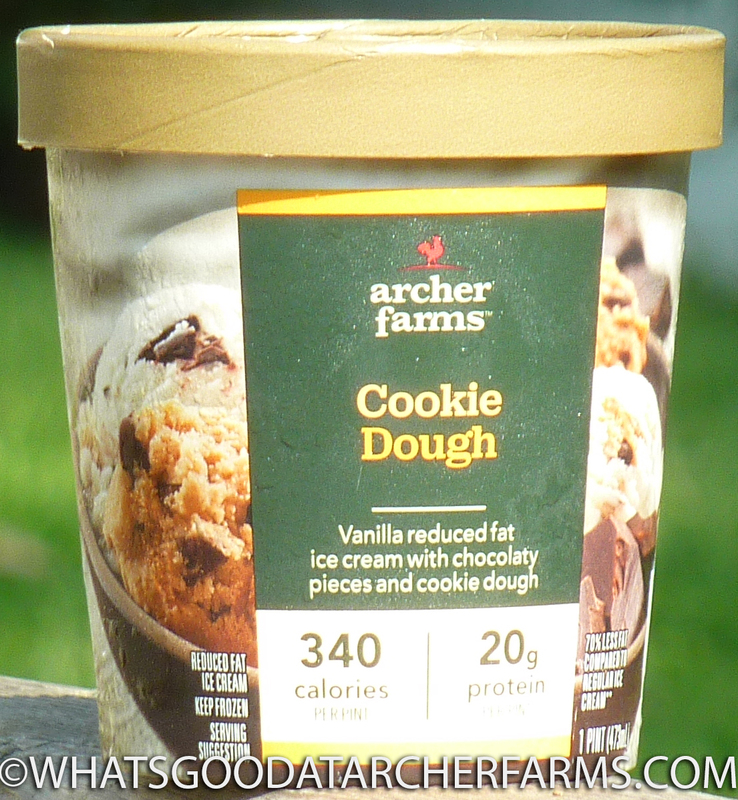 There's been a little buzz about these reduced fat, reduced calorie ice creams from Archer Farms on social media. I guess they're Target's answer to the "healthy" ice cream craze. I'm writing this review having only tried this flavor, so I'll be reviewing only this flavor in this post. It's a little disappointing, to be honest. Not terrible. But if I were ranking all the diet ice creams I've ever had, I'd put this offering just below any of the three or four Halo Top flavors I've tried. The vanilla ice cream isn't particularly vanilla-y, and there aren't nearly enough pieces of cookie dough in the mix. There seemed to be more "chocolaty pieces" than cookie dough chunks, but there weren't even a ton of those. Also, they didn't add much as far as flavor. I wouldn't have minded if they had skipped the chocolaty pieces altogether and simply found a way to put in at least twice as much cookie dough. 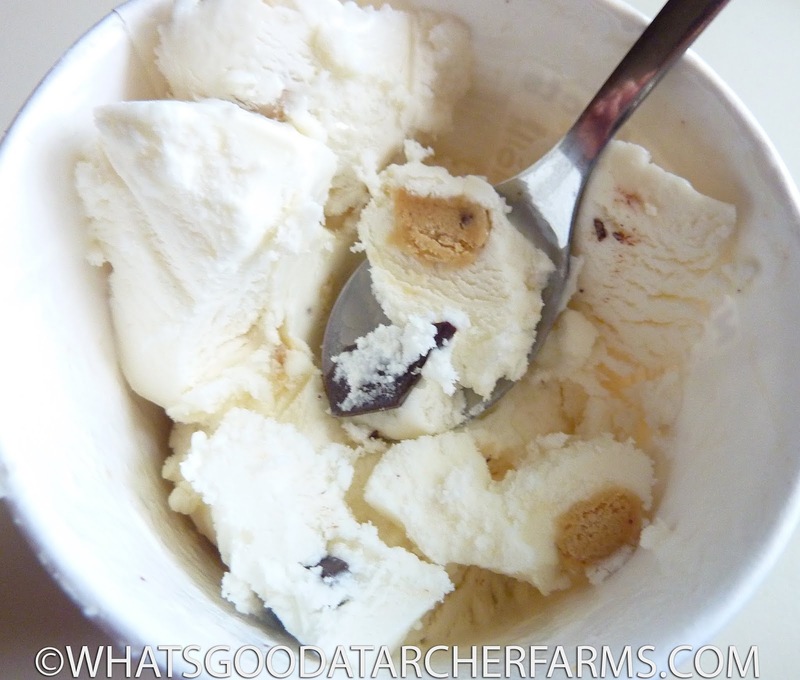 The cookie dough was my favorite part of this ice cream, but there just wasn't enough of it to rescue the rest of the product. 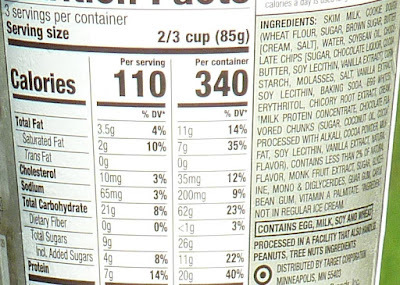 On a more positive note, the ice cream is indeed surprisingly low in calories and fat, there's a good bit of protein, and it's only $3.69—cheaper than Halo Top by a significant margin, unless you're lucky enough to find it on sale at a grocery store. The wife wasn't super enthused about eating this ice cream either. We really wanted to love it, but in the end, it's just another diet ice cream. If a pint of ice cream makes it 48 hours in our freezer without being totally consumed, I'd have to say it's probably not that great. This stuff's been here nearly a week.